Our founders, Jay & Vicki Dangers and Gertrude & Jonnes Bakimi. Jonnes Bakimi was raised in a broken home in Kabale, a beautiful southern district of Uganda. After a rough and tumultuous youth, Jonnes studied Chemistry while serving the National Resistance Army as a spy during Uganda’s bush war in the early ’80’s. In 1985, at an open air crusade, Jonnes met Jesus and from that moment on, his life was utterly transformed. Jonnes was welcomed into the Deliverance Church Nakasero family and there was loved and discipled in his new faith. It was during his time at Deliverance Church that Jonnes met Jay Dangers and his family… and also his wife-to-be Gertrude. Gertrude was raised in the beautiful Ugandan hill country of Fort Portal by a single mother who worked very hard to provide an education for Gertrude and her numerous other children. Gertrude later came to Kampala for further education and then was given the opportunity to earn a degree in Home Economics in Wales. 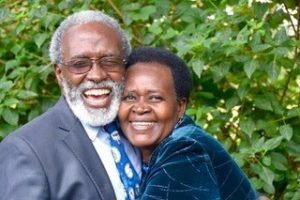 When she returned to Uganda, she served as a lecturer in Uganda’s prestigious Kyambogo University until she married Jonnes in 1988. 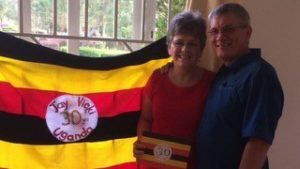 In 1987, at a time when everyone was fleeing the bush (Luweero in particular) and grasping for influential positions in Kampala, Jonnes gave up a lucrative position with the Pepsi Cola Corporation and moved to the bush of Luweero to work with Jay and Vicki and begin the work which is now New Hope Uganda. Later, his new bride also sacrificed her secure job and good home in the capital city to serve with him in the fledgling ministry. Together, they chose to establish a family instead of a career, and to then serve together as a family in Luweero. Jonnes and Gertrude have 7 of their own children- (Eva, Joshua, Joanna, Jordanna, Joseph, Jonathan, and Joy), a son-in-law Medie, and 3 grandchildren, and they consider many other children their own as well! Jay Dangers was born in South Carolina and raised by missionary parents in present day Democratic Republic of Congo. He came to know the Lord at a very young age, and was discipled in his faith by his parents and the dorm parents and teachers at his boarding school in the Congo. Jay met his wife-to-be, Vicki, while studying Building Construction and Design at John Brown University in Arkansas. 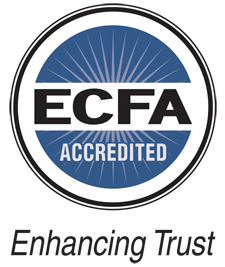 His goal was to be trained to serve in the Congo as a career missionary. Vicki was born in Washington State to military parents. When she was in elementary school, her father retired from the military and they settled in Southern California. Vicki was led to the Lord by her aunt when she was 8 years old. From that point on, Vicki knew she wanted to be a missionary. Jay and Vicki were engaged and then married while they were both still in university. A year and a half later, they moved to Congo as tent-making missionaries, when Vicki was 7 months pregnant with their first child. Their time in Congo was extremely difficult, and after returning to the US to regroup, the Lord shut the door to Congo. Six years later, however, He opened the door to Uganda. In 1986, Jay, Vicki, and their 3 oldest children moved to war-torn Uganda to begin a work with orphaned children. 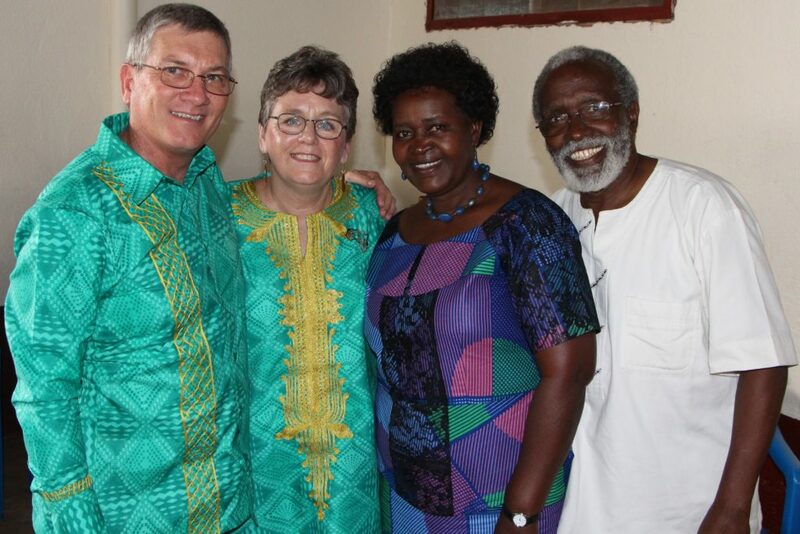 It was during their time as members of Deliverance Church Nakasero that they met Jonnes and later Gertrude, and together formed a partnership in ministry and relationship that has stood the test of time, has been a source of blessing and hope to thousands of children, and has been an example to many of cross-cultural unity and brotherhood. Jay and Vicki have 6 of their own children (Jennie, Josiah, Jamie, Joyanne, Jeremiah, and Julia), a daughter-in-law Autum, a son-in-law Andrew, and 5 grandchildren. They also consider many other children in Uganda part of their family.